This is a summary and update on the talk I gave at ODI Leeds at the end of December which told the story of 2015 for ODI Leeds, how we worked with ODI HQ, with how what has developed during 2015 will develop in 2016. The slides from my talk are on this slideshare here link and below, or google doc here. As we have found during the short life of ODI Leeds things change quickly so this post also includes some updates and priorities that have developed over the past few weeks. We've both come a long way in a short time, The ODI is just over three years old and ODI Leeds about 2 years old, we signed the Node Charter in November 2013 and opened at our innovation space in central Leeds, in May 2014. A lot has happened since we set off on this journey, and we're pretty sure a lot more good stuff will happen in 2016. My guess is that we will see more nodes to the west of the UK in 2016, and possibly some in Africa. 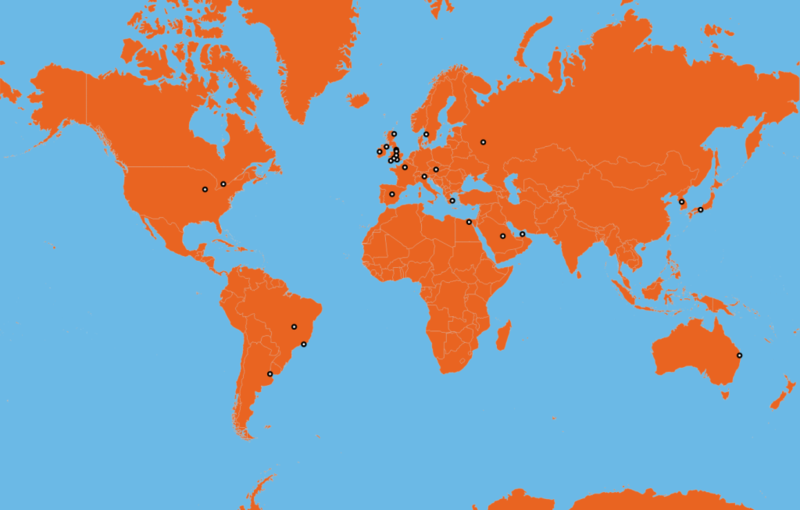 This Node Network gives us unrivaled access to global specialists, experience and knowledge. The Node Network is developing and evolving and we are very pleased to say that ODI Leeds and ODI Queensland have been selected as two "Pioneer Nodes" who will receive additional support from ODI HQ to develop their Operating Models and then share their learning to develop the Node Network. We will keep you all updated on this exciting phase of ODI Leeds' Development. ODI HQ has done so much that we won't cover that here, you can check out their year at their news blog http://theodi.org/news and at their dashboard. The focus is no longer just Open Data: It is now the full spectrum of Data from Closed, through Shared to Open & also how Open — Networked Innovation can be accessed & accelerated. That The ODI and its partners wants us all to consider Data as Infrastructure. This is demonstrated in this joint letter to the Infrastructure Commission with the Office for National Statistics. The ODI developed, shared and published its Data Spectrum, which has helped us to communicate how Data can fit within any context. You can find out more about the Data Spectrum here. Open Smart Cities: Here at ODI Leeds we have always completed work research and activities looking at Smart & Future Cities, particulalrly how they are more than technology demonstrated by our involvement in the Cities as Places of Wellbeing work in early in 2015. This year the ODI has also focussed on "Open Smart Cities" and we will be collaborating more on this in the future. Role with Cabinet Office.At the ODI Annual Summit held at the BFI on the 3rd November 2015, Minister Matt Hancock called on the ODI to bring the voice of data businesses and innovators to the Cabinet Office and promote data innovation across government.vSpeaking at the ODI's third annual summit, Minister Matt Hancock announced that the Cabinet Office will look to the ODI to help shape its data agenda.You can find out more here. This Image is taken from the presentation given by Gavin Starks at the ODI Summit. Just some of the people who came to Yorkshire Water's first data dive, It uses the faces of the attendees and contributors to the #waterdata15 event that we worked with Yorkshire Water in Summer 2015. We were the only node to have a specific mention in Gavin's talk — this is because we outperformed all of our metrics set by ODI in 2015. It really is a testament to all of the ODI Leeds Team, our Sponsors & Partners and means that with our "Pioneer" Node Status we have the opportunity to build significantly in 2016. We are pleased to say that will be announcing further major sponsors at the end of January. ODI Leeds Challenge Team & Our Innovation Pathways. 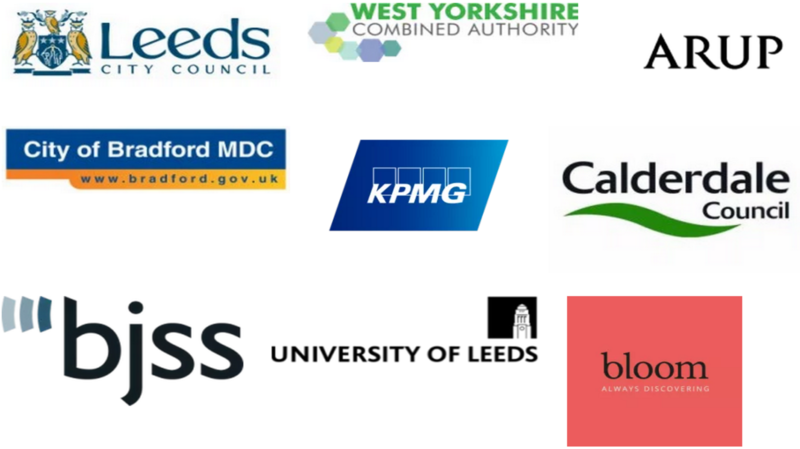 We are currently working with Leeds Data City to deliver the Internet of Things, IoT UK Boost project with Connected Digital & Future Cities Catapult, if you want to find out more check this link. We are working with West Yorkshire Combined Authority and Leeds Data Mill to automate and animate the journey data relating to concessionary travel, we'll be publishing our work and holding a collaborative Data Dive and Innovation Pathway at the end of March or beginning of April. We will be part of Leeds Digital Festival and will be hosting workshops and events during the week, we hope to be hosting an Open Data & Innovation & Open Source Day followed by an Party including an Algorave and DJ set at ODI Leeds. #FloodHack16 in collaboration with TechNorth & our Sponsors. More details to follow on this but we will be hosting an Innovation & Hackathon style event on 11th & 12th March focusing on the challenges and how data & technology can be applied. Please contact us at odileeds@gmail.com if you'd like to know more and get involved with what we are doing. We have created bespoke packages for each of our sponsors, if you or your organisation wants to be part of what we are building and creating please get in touch. Designed for start-ups and micro businesses of up to five people, we have designed a new offer that combines, unlimited pop-in co-working, meeting space, event hire & inclusion in our Challenge team @£225 per month plus VAT. From 2016 we will combine membership of ODI HQ with supporter status of ODI Leeds plus Co-Working as a package for individuals. £1 for Member & Supporters. £150 For Annual Membership with 10 Co-working days included for the year. £599 For an annual membership & supporter status with unlimited pop-in Co-working. Projects & Challenges, Innovation Pathways. If you have a challenge that you think we can help with or consider yourself able to join the ODI Leeds Challenge team please get in touch. More details here. We are starting to develop the way in which we support and develop start ups at ODI Leeds, the first action in this development is an open evening with ODI HQ on the 27th January — where we will be discussing the ODI's Start Up programmes — which can include up to £100,000 of equity free funding. You can Book this event at this link.